Nearly 100 civil society organizations and individuals from across 20 Indian states have asked the Government of India to work with other South Asian countries to establish a regional human rights mechanism to solve crucial issues nagging vulnerable sections of population in the region. Sponsored by Working Group on Human Rights in India and the UN (WGHR) and Asian Forum for Human Rights and Development (FORUM-ASIA), Delhi-based advocacy groups, the consultation of civil rights groups took place in Delhi on August 26-27 as part of the regional initiative for a South Asian human rights mechanism, begun four years ago. The South Asian Association for Regional Cooperation (SAARC) is the only inter-state regional organization in the world which does not have a human rights mechanism. The consultation “expressed deep dissatisfaction with the current state of human rights in the region and in India”, a statement issued by the organizers said. The participants adopted a Delhi declaration to work towards such a mechanism. A working group comprising of 12 persons was also formed to ensure implementation of the declaration. Speaking at the convention, well-known human rights campaigner Teesta Setelvad of the Centre for Peace and Justice, fighting several 2002 Gujarat riots cases, said, “Given the lack of accountability and commitment to human rights by the governments in the region, we should resolve to establish a people’s mechanism in the interim and strongly advocate for the states to set up a regional mechanism for South Asia”. “Regional cooperation is incomplete and meaningless without committing to protection of human rights at the regional level. SAARC will continue to be a muted organisation unless it takes a proactive role in the promotion and protection of human rights in the region”, said Gayatri Khandhadai, South Asia programme officer, FORUM-ASIA. “From Sri Lanka to Afghanistan, the people suffer while perpetrators enjoy impunity. The people and governments of South Asia must come together immediately to prevent any further violations. This is the only way in which we can ensure peace and stability in the region.” explained Mr. Henri Tiphagne, convenor, WGHR. The statement underlined, “While Europe, Americas, Africa, Southeast Asia and Arab States have been successful in evolving regional mechanisms, South Asia lags behind with no serious dialogue on regional human rights issues”. 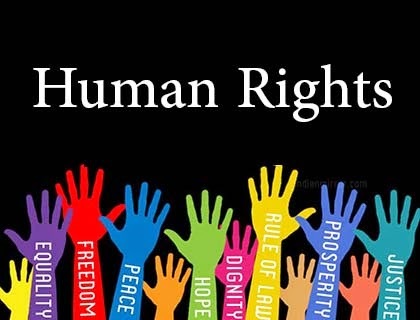 “The regional mechanisms in other parts of the world have made considerable contributions to promoting and protecting human rights and democracy. SAARC, which is best poised to host such a mechanism in South Asia, must also follow the good practices in other regions. SAARC member states must formally engage in discussions for the establishment of a South Asian human rights mechanism at the upcoming SAARC summit.” urged Miloon Kothari, convener, Task Force, Regional Initiative for a South Asian Human Rights Mechanism. Meanwhile, the civil society groups a delegation of persons from Afghanistan, India and Nepal met the National Human Rights Commission of India, National Commission for Protection of Child Rights and Parliamentarians, advocating for the establishment of a South Asian human rights mechanism and greater cooperation in the protection and promotion of human rights. The delegation was thoroughly encouraged by the support and response of the civil society and officials. The civil society’s regional initiative for South Asian human rights mechanism is began following the sub-regional consultations held in Kathmandu in 2010 and 2011. It formed a collaborative platform of civil society and individuals from the region committed to the cause of furthering human rights and peace in the region. The mission of the forum is to advocate for, and help create an environment conducive for the establishment of a South Asia Human Rights Mechanism.